Walking some of D.C.'s most dangerous streets, a team of so-called "violence interrupters" root out and mediate problems in neighborhoods before they escalate. It's part of a budding program out of Attorney General Karl Racine's office called Cure the Streets. 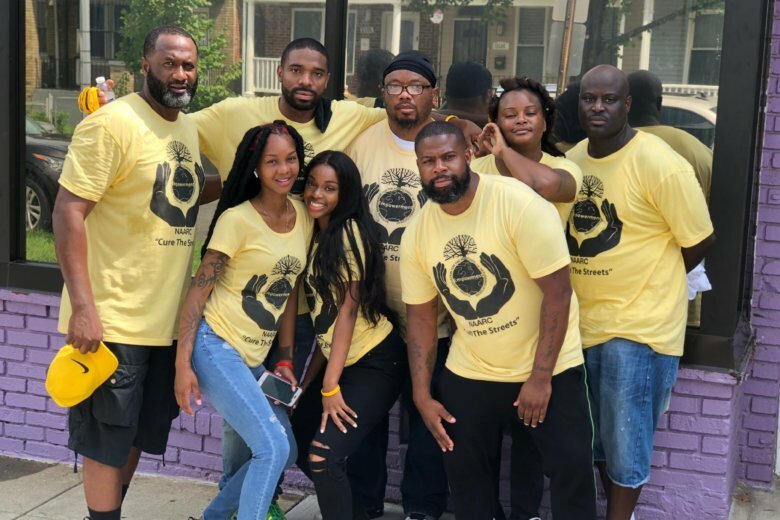 WASHINGTON — Walking some of D.C.’s most dangerous streets, a yellow T-shirt-clad team of ex-convicts and former gang members are being paid to root out and mediate problems in neighborhoods before they escalate. These so-called “violence interrupters” are part of a budding program out of Attorney General Karl Racine’s office called Cure the Streets. Cotey Wynn is a violence interrupter in the Trinidad neighborhood of Ward 5. Wearing a blue-and-yellow jacket with a yellow shirt underneath, Wynn is easily recognized by neighbors, who know him as a man who caused trouble in his younger days. He and his team — who are also from the neighborhood and know the locals — spend eight hours a day walking the streets, meeting with high-risk actors and attempting to mediate an issue that could turn violent. “We are outside from 8 in the morning ’til 2 in the morning. When the community comes outside, they see us in yellow shirts, doing our work … just walking up there, talking to everyone, making sure everything is good,” Wynn told Charles Allen, D.C. Council Judiciary Committee chair, during a hearing Monday. Each day, the violence interrupters check in with Cure the Streets managers, who are in touch with D.C. police and the Court Services and Offender Supervision Agency about who is on their radar and where incidents may have happened in the last 24 hours. Beyond checking in on those players, the violence interrupters spend their days planning community events, talking with area business owners and keeping a close connection to the schools, where arguments between teens can escalate quickly. The National Association for the Advancement of Returning Citizens, or NAARC, a D.C. nonprofit, is a key partner in the program. “It’s an honor. I’m working in the community, but I’m also working on myself, too. To see the people who once frowned at me, smile at me, makes me a better person. It takes a lot off of me,” Wynn said when asked about why he does the work. D.C. is experiencing an uptick in violence, with 21 homicides already this year. “In their two cluster areas in Wards 5 and 8, there have still been some shootings but no homicides since the launching of the program,” said Sarah Dachos, a coalition member with Everytown for Gun Safety. “They are the bulletproof vest without the vest. I can’t say more than that. They have really, really stopped the arguments, the fights. They are always there for us. All the way,” testified Rita Goodwine, who is a neighborhood leader in the Trinidad neighborhood, where Wynn works. “The residents have indicated they feel safer in their neighborhoods, something I rarely hear from residents in neighborhoods disproportionately affected by gun violence. In streets directly adjacent, we’re still seeing a high level of violence, and we believe that suggests, indeed, the NAARC teams are making a difference,” Dachos told the committee. The program is only a few months old, fueled forward through the summer by a $2 million settlement Racine’s office negotiated during the merger of Washington Gas and AltaGas. Those who believe the program is already making a difference want a line item in the budget specifically for Cure the Streets, so it does not have to continue to rely on alternative funding. It’s an idea Allen thinks is a positive step forward. “We are making good investments in our violence prevention and violence interruption. I have said I want to double down. I was heartened by the announcement last week in the financial investment being made. We’ll work with [the attorney general’s office] down the road,” he said. Different team members specialize in working with specific groups in the neighborhoods. For example, Victor Battle helps formerly incarcerated men and women transition back to real life. “A lot of times when people come home, the first thing they say is they want a job. Not everybody is ready for a job. … We worked on resource packages just to be able to get mental health services, substance abuse [available], because a lot of times, when people get jobs without these supportive services, they end up losing their jobs. It’s almost unfair … to push them into something they say they want that you can kind of gauge and see that they are not ready for,” Battle said. Daisa Robinson works most closely with the teens in her Southeast D.C. target area and is constantly aware of what’s going on in the schools, which can lead to issues on the streets. “We don’t have no type of weapons, no bulletproof vests or none of that, so yes, I pray every day,” Robinson told Allen. To heal the neighborhood Robinson said she once terrorized has given purpose to her life, she said.